My company is an excellent company to work for and I highly recommend it. Why you ask? My current reason is the 6 months of maternity leave I am enjoying. I took off 4 weeks before my due date to give my co-workers a break from my waddling and crankiness. I will round out the 6 months when I go back June 1. 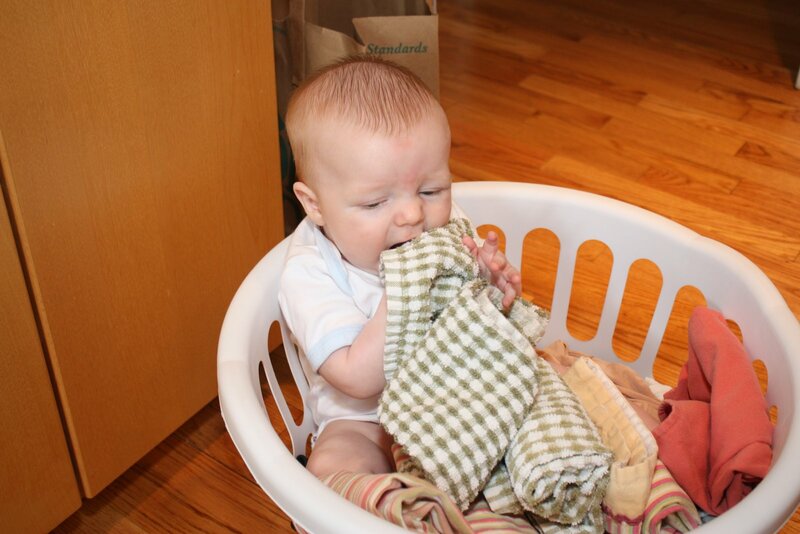 Since I have been home I have been doing even more of the household chores than normal. With Alex’s schedule I did most anyway, with some small exceptions. 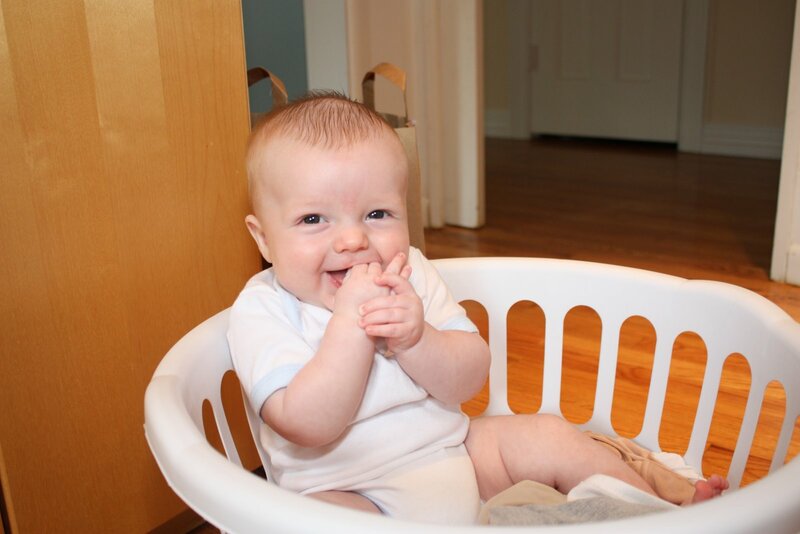 I would do all the laundry and fold it – but not put it away. It was my little stab of “I work too!!”. I had no plan to change this until my mother, sister and Dad came to help me with Zach. Lauren did all our laundry AND put it all away and when Lauren left, my mom took over. 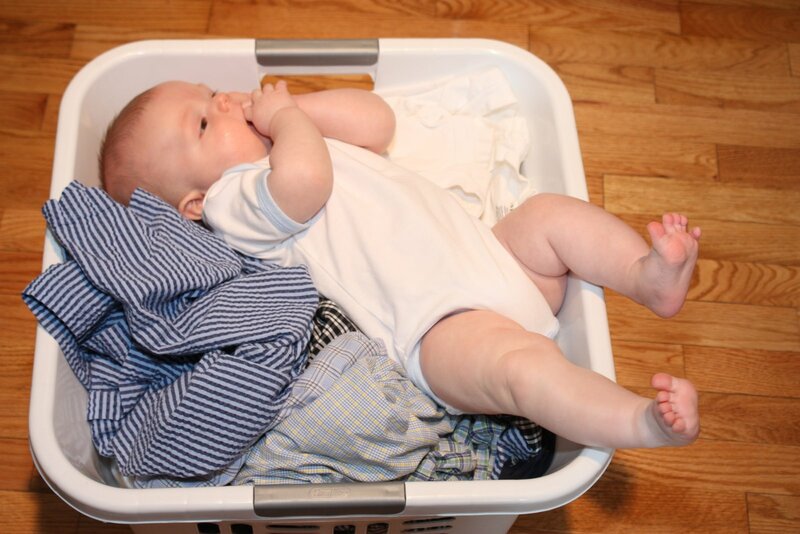 When my mom came back a few months later, I was back to doing the laundry and letting Alex put his away. My mother tactfully pointed out that since he does work 90+ hours and I am technically at home – working she was quick to say, working, but at home, might it not be too much to ask to put away my hard working husband’s clothes? I will not go into great detail on how this was a shock coming from my feminist mom, but let’s just say that if she was suggesting it, I should take it seriously. And I had to admit, the woman was right. I now employ Zach to help me with this task as you can see below. I can’t be sure what is going to happen when I go back to work, but I do know that Alex has enjoyed this change though he is entirely too smart to point out that my mother was right.